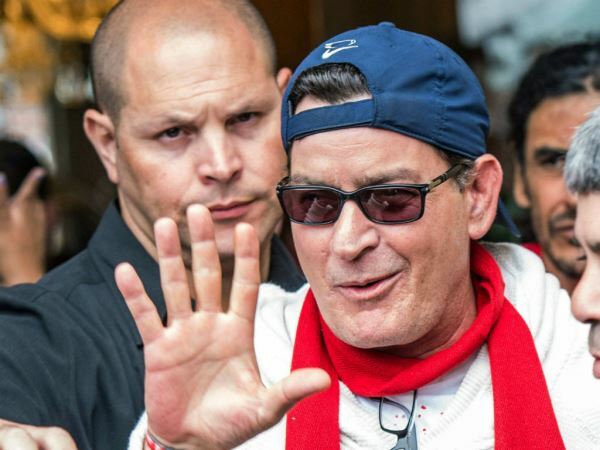 Jon Cryer saw the first “crack in the façade” of Charlie Sheen around 2006. Jon Cryer saw the first “crack in the façade” of Charlie Sheen around 2006. The Two and a Half Men star shared the small screen with the outspoken actor for years before Charlie was fired from the show following several public outbursts. And in a new interview, Jon admits he got the feeling something was going on with Charlie, whose substance abuse issues have been well-publicised, about eight years ago. "I think for me, and for a lot of people, the first sort of crack in the façade was when Charlie started going on the Alex Jones show and talking about 9/11 - that it was a conspiracy, and that it was a controlled demolition and all this stuff," he recalled in an interview with HuffPoLive. "I remember driving into my parking space, and I saw him stepping out of his trailer, and I was like, 'Uh, can we talk for a minute?'" In the years following, Charlie was dealing with numerous personal dramas and legal affairs. He ended his marriage to Denise Richards and wed Brooke Mueller, which Jon believes happened “probably a little too quickly”. In December 2009, Charlie was arrested for assaulting Brooke, whom he divorced in 2011. The actor was charged with domestic violence and eventually pleaded guilty to misdemeanour assault after taking a plea deal. But even Jon insists he “did not see the arrest coming”. "Anybody who's had an addict as a friend knows that you live with this fear -- you know, is the next phone call gonna be the one where something horrible has happened?" Jon said. “And I had that a lot with Charlie. And it was very, very tough to live with." "When you're dealing with somebody dealing with a substance abuse problem, it's tough to get through," he said. "And clearly I didn't at the time." Ashton Kutcher went on to replace Charlie in Two and a Half Men in 2011. With the series now gearing up for its finale, Charlie told TV Guide he believes allowing him to return would be a show of “good will and a tip of the hat to the fans”. Executives subsequently stated they had no plans at the time for Charlie to reprise his role.